I still remember that sense of awe that I felt during my first viewing of The Empire Strikes Back when the Super Star Destroyer was revealed. 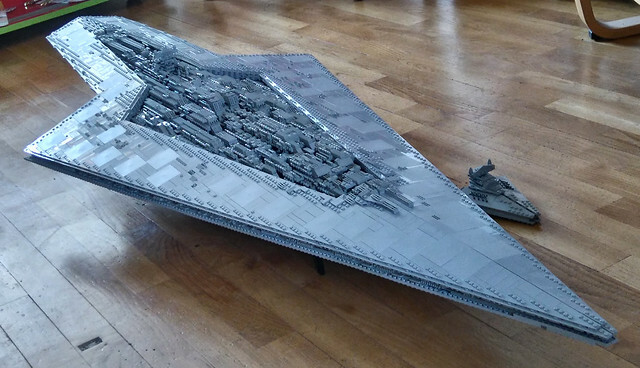 We all knew the colossal scale of the Star Destroyer, and when they showed a fleet them all being dwarfed, first by shadow, then by the ship, my jaw dropped. 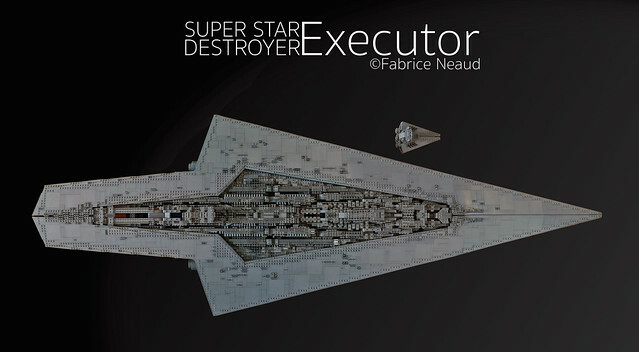 This was a ship of immense scale, and this build by Fabrice Neaud is pretty immense in it's own right.